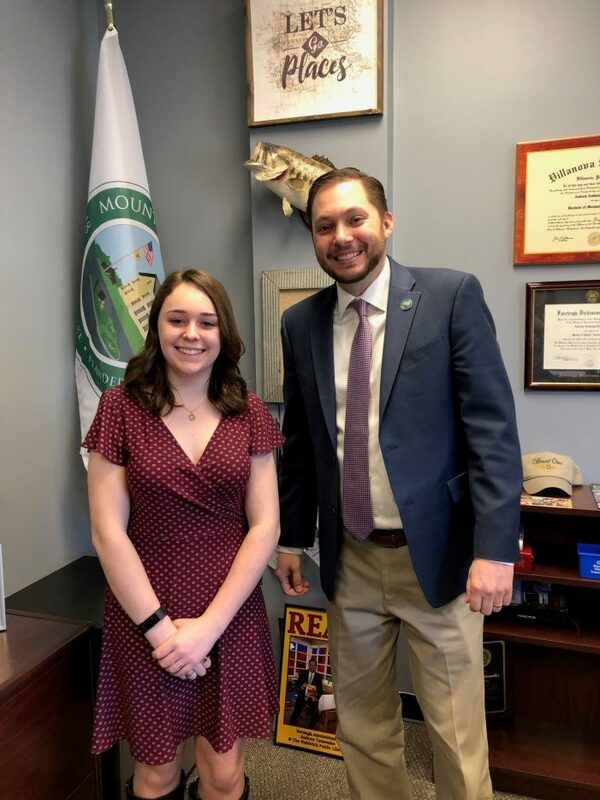 Megan Perry had the opportunity to have her job shadowing visit with Andrew Tatarenko, Business Administrator for Mount Olive Township on Tues. March 19. Job Shadow Day is a vital component of the career readiness program offered at Mount Olive High School. The Job Shadow program connects students with professionals in desired areas of interest and gives them the opportunity to take part in a typical work day and explore new aspects of a career.